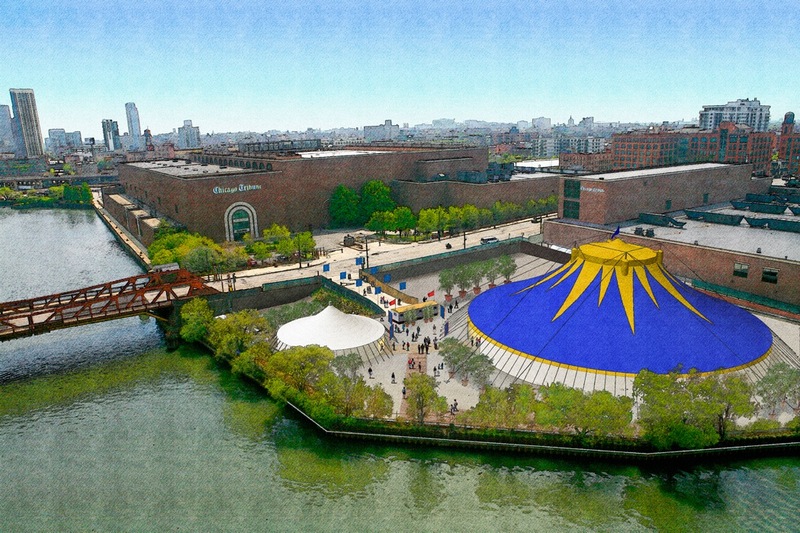 A rendering of the Riverfront Theater. - First Folio Theatre has announced their 2012-13 season, which will include The Madness of Edgar Allan Poe: A Love Story, Jeeves Takes a Bow, Underneath the Lintel and Shakespeare&apos;s Cymbeline: A Folk Tale with Music. - The essentially defunct Chicago Muse is passing half a million dollars to Chicago Shakes, reports Broadway World. It will "establish a newly endowed fund at CST in support of the Theater’s ongoing commitment to commission, develop and produce new musicals." Particularly necessary, given the dearth of original musicals being produced these days, argue some.